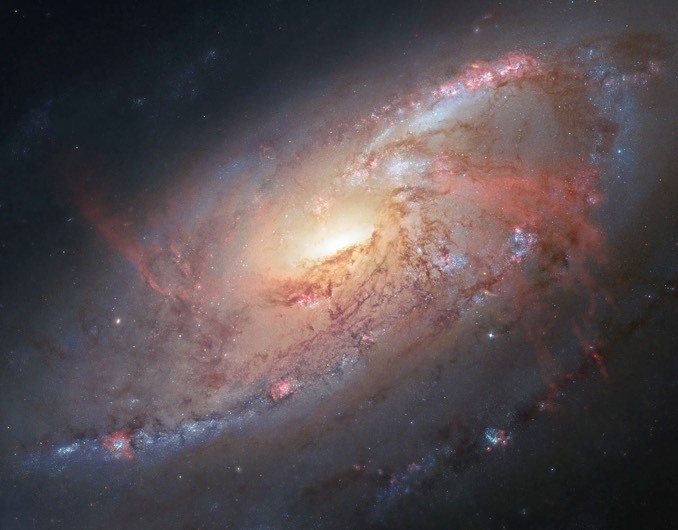 Messier 106, also known as NGC 4258, is one of the most brilliant nearby galaxies, located in the constellation Canes Venatici some 20 to 25 million light years from Earth. It rivals the Andromeda galaxy in size and is a familiar target for amateur astronomers. Discovered in 1781 by Charles Messier’s assistant, Pierre Méchain, M106 was not originally included in Messier’s famous catalogue. 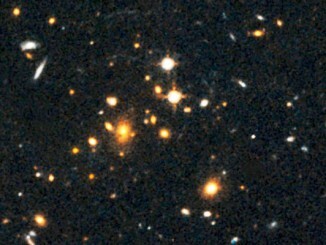 The galaxy and six other objects the pair discovered were added to the catalogue in the 20th century. This image combines observations by the Hubble Space Telescope with additional data from amateur astronomers Robert Gendler and Jay GaBany. The image below, also from the Hubble Space Telescope, includes the glow of ultraviolet radiation. 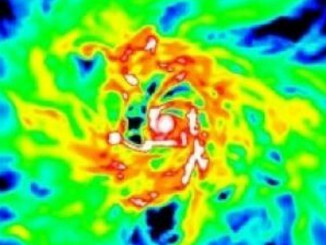 A study just published by University of Texas at Austin assistant professor Steven Finkelstein and colleagues reveals that galaxies were more efficient at making stars when the universe was younger. 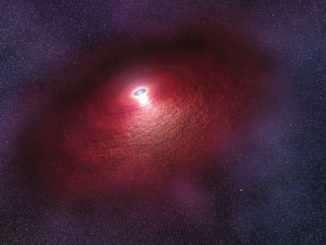 The announcement explains the team’s discovery that there are a lot more bright, highly star-forming galaxies in the early universe than scientists previously thought. Beams from rotating neutron stars – pulsars – are normally seen in X-rays, gamma rays and radio waves. 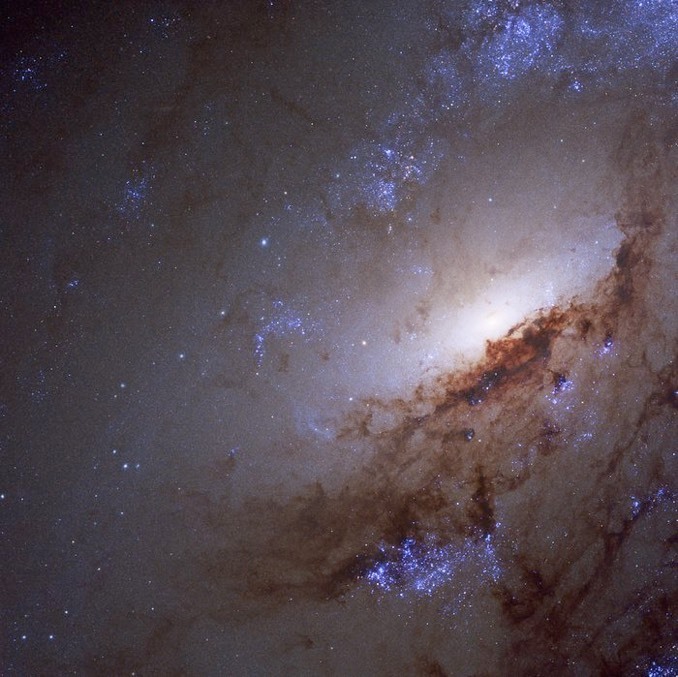 The Hubble Space Telescope has now seen unusual infrared emissions, possibly from “pulsar winds” or surrounding dust.